Nike had already mastered the art of comfortable sneakers. 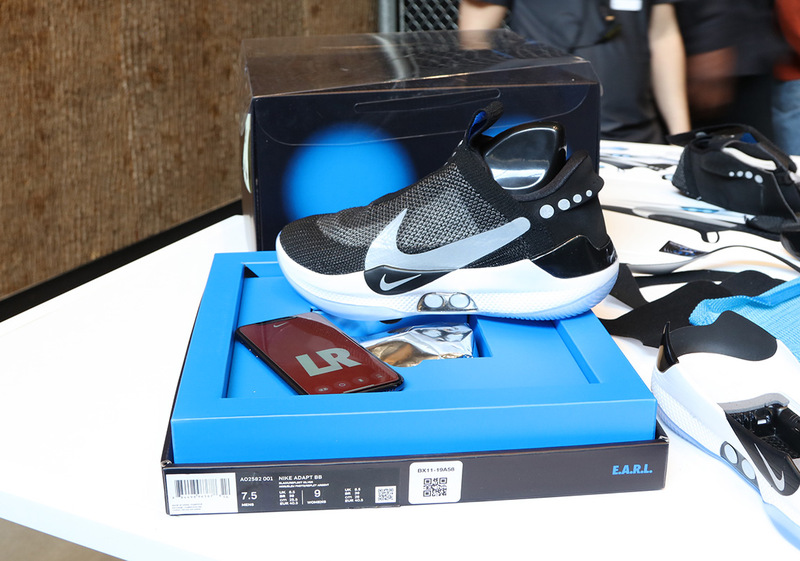 Since the mid-2000s, they’ve focused on the challenging tech aspect of their products as they’ve strived to pull real-time data from its consumers and athletes to further shape the vision of the perfect shoe. For roughly two decades, the sportswear brand out in Beaverton has placed heavy focus on marrying the physical world with the digital landscape, and it’s been a series of trials and errors in an effort to figure out what simply works and what doesn’t. 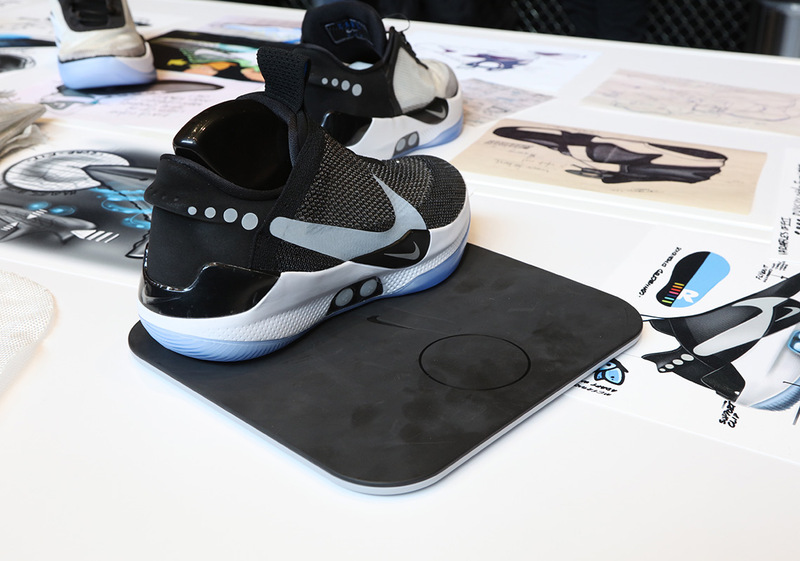 In 2006 they took the first step into this uncharted territory with Nike+, a wireless system that tracked data from runs and workouts through modules embedded inside the shoes. Nike+ continued to evolve as the years went by, and in 2012 came the debut of its most ambitious iteration called the Sport Pack, enhancing the analytical aspect of a workout with quantifiable stats while raising prices to an unheard of price-tag of $250. Jaw-dropping to some, cringeworthy for others. Successful products typically simplify, and although the overall idea was impressive and fairly well-executed, people weren’t quite ready for that level of digital integration. In that same year, Nike entered the wearable technology market with the FuelBand, a monitor that measured activity with an in-house currency called “Fuel”. While it was a beautiful accessory, it was painfully inconsistent and in two years it existed no more. But Nike’s goal wasn’t to sell wristbands. It was and still is to collect data, communicate with consumers, and form a database that allows them to create better footwear and apparel simply by knowing its customers the best they can. Truthfully, the average consumer is more concerned with the length of a workout and calories they’ve burned, and less on vertical jump heights or how they measure up their peers. What Sport Pack offered may be useful tools for organized sports and scouting, but rather unnecessary for the average person. Nike chose to exit the wearable technology sector as they’ve focused entirely on software with swift and impressive improvements to the Nike+ App. Born out of a crazy idea intended to be entirely fictional, self-lacing sneakers became a pop-culture phenomenon thanks to Nike’s involvement in the 1989 film Back To The Future II. 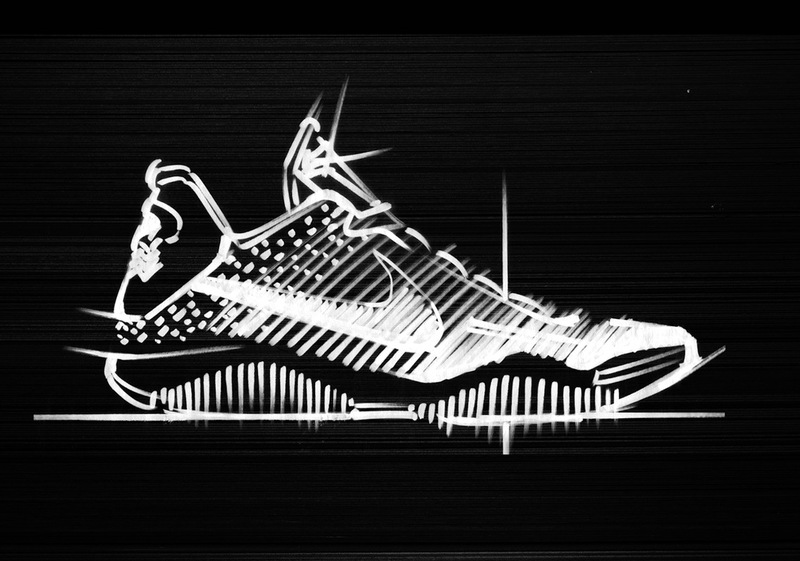 Tasked by the movie producers to design a shoe of the future, Tinker Hatfield created the mythical Mag, a super high-top masterpiece that pretty much guaranteed the invention of a self-lacing sneaker by the year 2015. Nike’s innovation team, led by Tinker and Tiffany Beers, sought to realize this dream, and a dream it was; the Nike Mag was fully functional with “power laces” and amounted to one of the most significant moments in brand history, all while raising millions for the Michael J. Fox Foundation for Parkinson’s Research. The core of this mission resulted in the advent of E.A.R.L., aka Electro Adaptive Reactive Lacing. 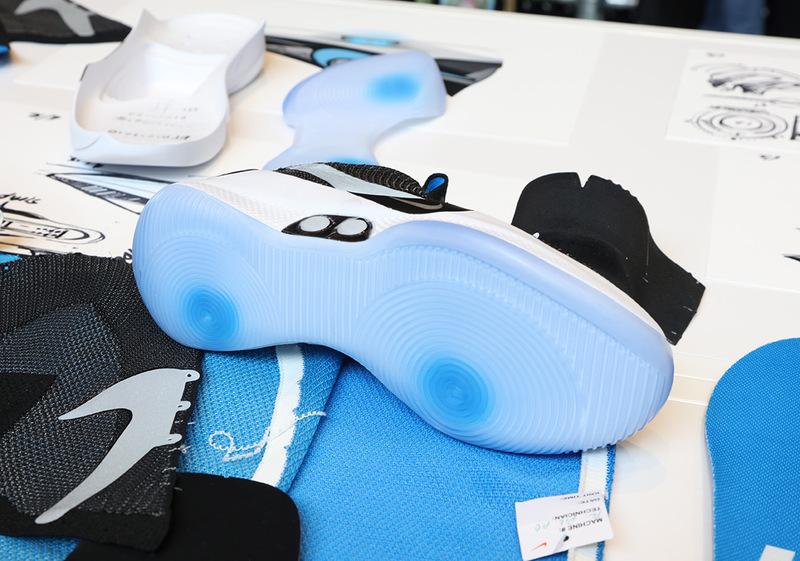 From that came the HyperAdapt 1.0, the first self-lacing sneaker released to the public that clamped down at the mid-foot rather than create a true one-to-one fit. From those learnings, hours of wear-tests, miles of running, and over fifty different iterations of the app-powered mechanism, the Adapt BB was born. 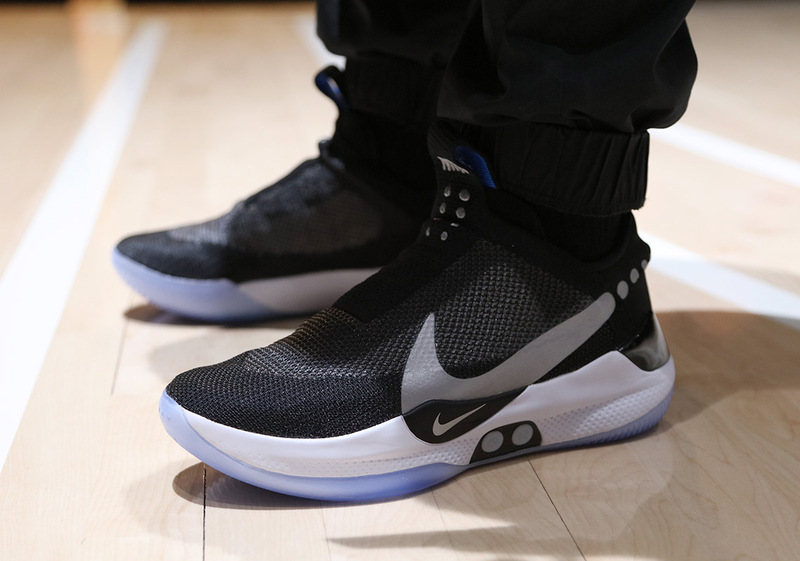 The Nike Adapt BB, a highly-engineered and thoughtfully futurized basketball sneaker, is remarkably simple and easy to use – a testament to just how effectively the brand executed this idea. The connection between the footwear and the app is almost symbiotic as it responds to the straightforward commands with the tiniest amount of delay. 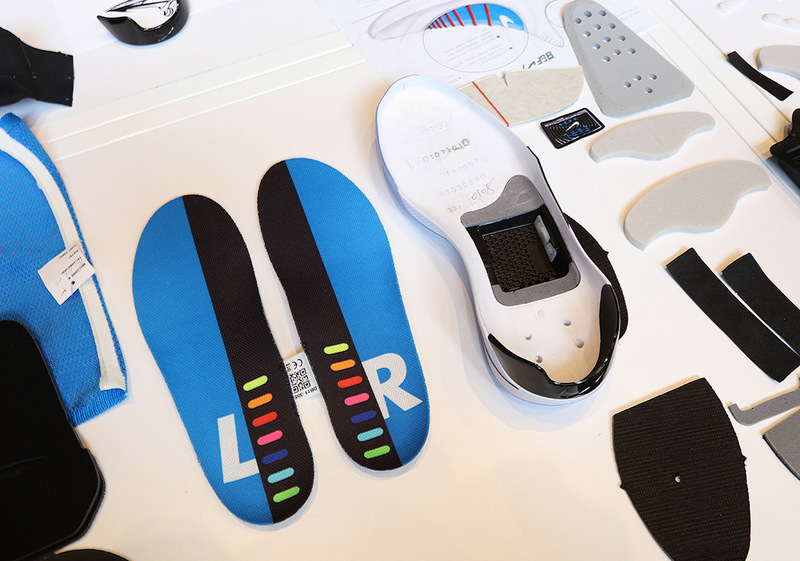 The Adapt BB is designed to be fully modular as consumers can customize the fit on each individual shoe by adjusting the levels through the app, while the ability to save and activate presets allows the shoe to act like the driver’s seat of a modern car. 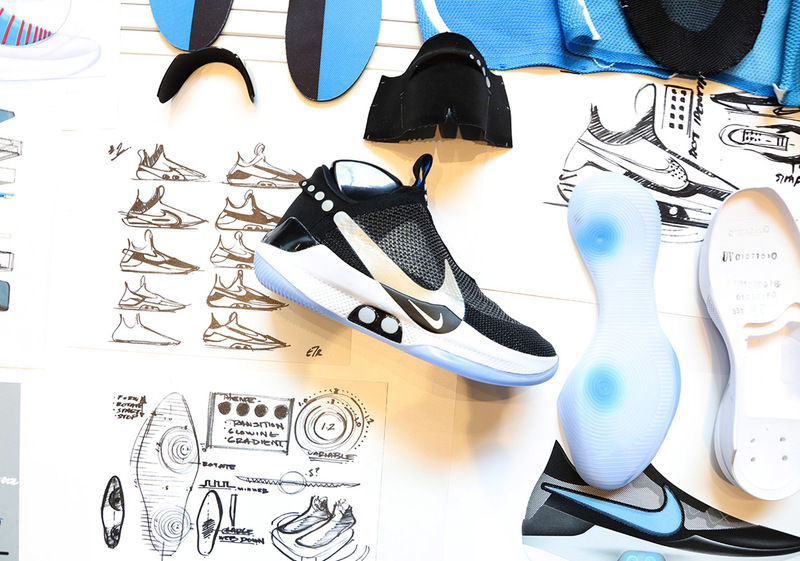 Additionally, a four-hour rest on the charging pod powers up the shoe for two whole weeks. The colorway is also kept clean and sleek to highlight the technology beneath the hood, but Nike added its signature flair inside the two nodules that can change colors with a simple tap on the app. 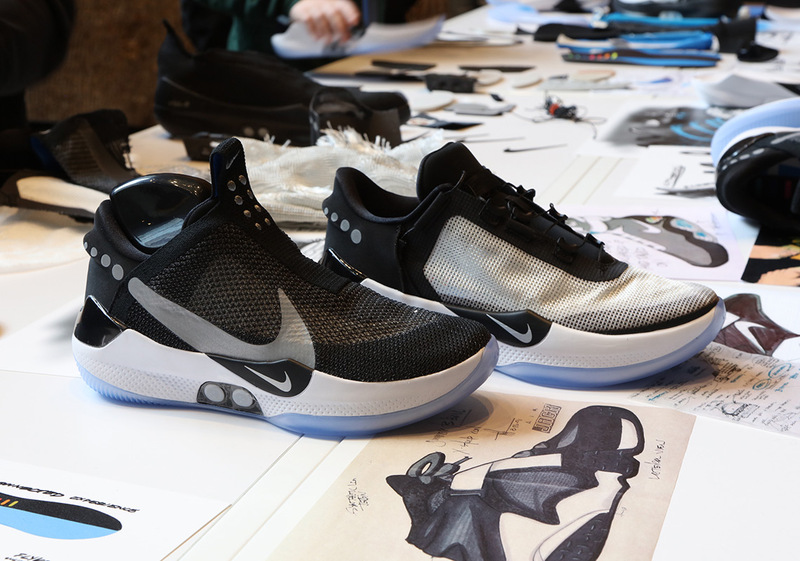 Unlike the HyperAdapt 1.0 and even the Mag, the Adapt BB is constantly evolving as its firmware will update, and given its digital integration, Nike could use the information from users to inform the design of future footwear. 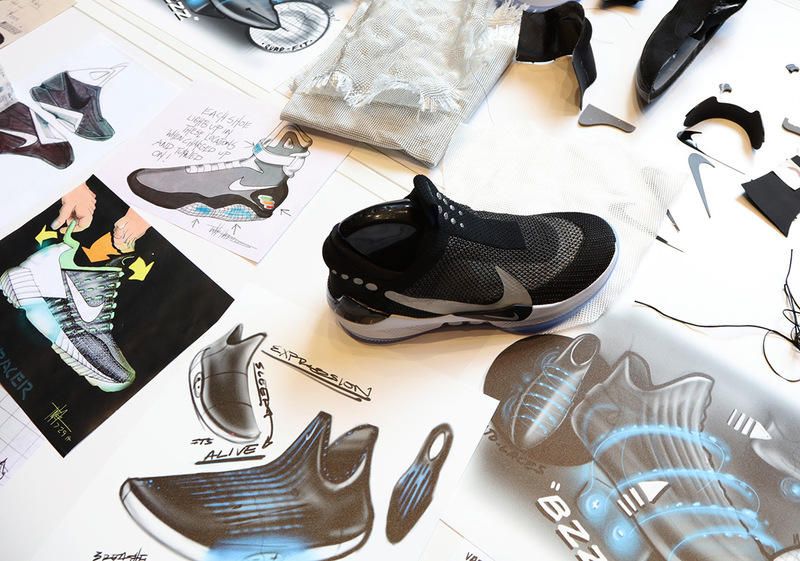 Speaking on the design aesthetic, the Adapt BB looks and feels like a Kobe signature model. Much of Eric Avar’s sleek design language is evident in this model, and it’s clear that the cutting edge style pairs well with technology-driven identity. It’s not the lightest of basketball shoes out there because in addition to the Cushlon midsole, rubber outsole, and woven components that make up a traditional hoops sneaker, there are several other moving and stable parts that add to the curb weight. 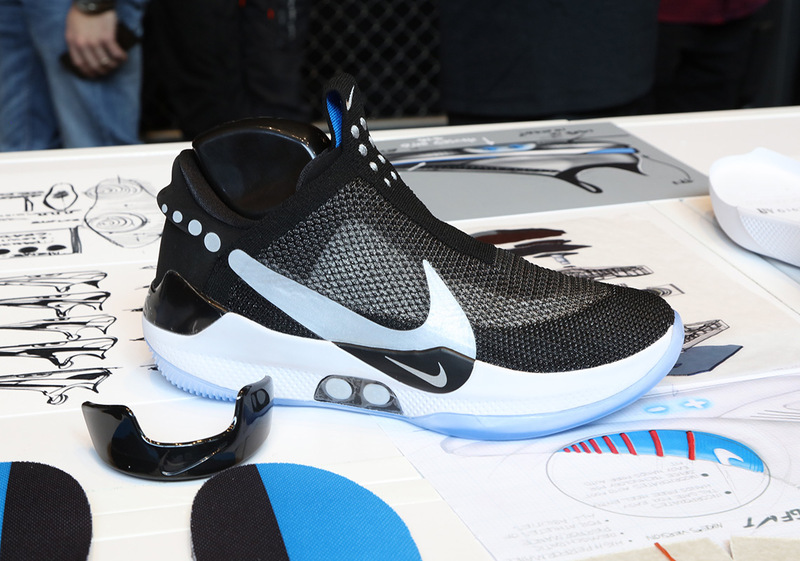 It is by no means a heavy beast and hours of wear-testing by trusted athletes as well as NBA stars such as Jayson Tatum, De’Aaron Fox, Kyle Kuzma, and more deem these as high performing a shoe as any other out in the market. 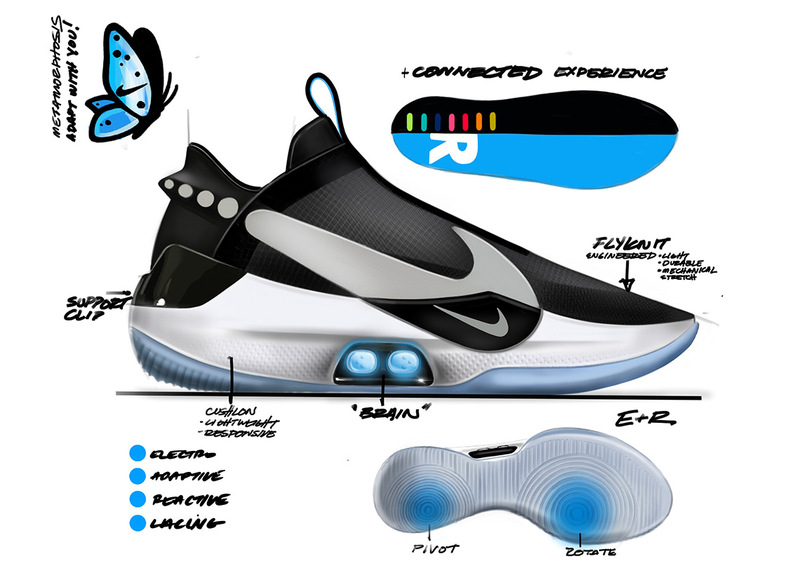 The $350 price-tag, less than half that of the HyperAdapt 1.0, is right on the mark when considering the costs of other wearable gear on the market, and if you strip away the mechanism, you still end up with a top-flight basketball sneaker designed by the best. 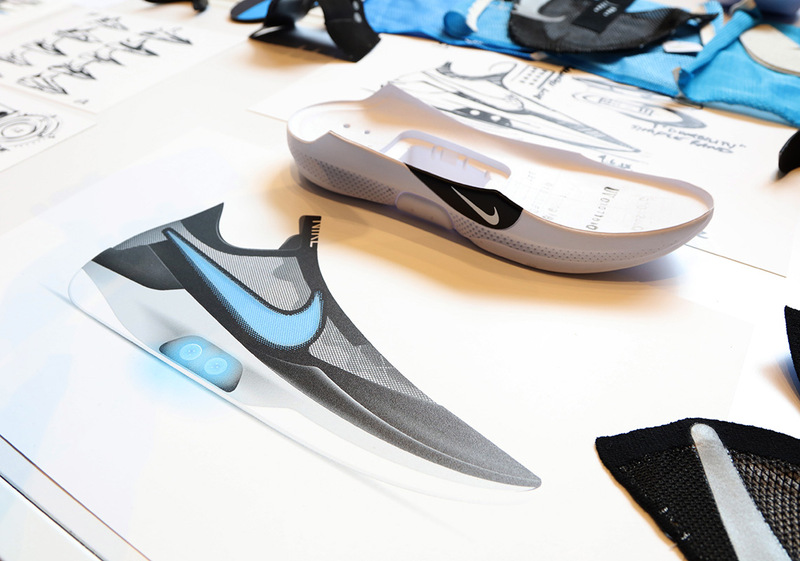 What this should tell you about Nike’s direction with digital innovation is that they’re still focused on perfecting fit and comfort for optimal performance while integrating practical usage trends. A shoe that molds perfectly to your foot under the control of your smartphone is the type of wearable technology that will work because it simplifies what exists daily. If this is the direction Nike is sticking to, then expect this new system across all sport categories and soon enough, you’ll hear that recognizable wail everywhere. The Nike Adapt BB pre-order is now sold out. It releases again on February 14th at Charlotte All-Star Weekend, February 17th, on Nike.com, and February 19th worldwide.